On Wednesday 9th, a strange thing happened in the old town centre of Siena. About two hundred people were walking around holding frogs, meerkats, snails and swallows. This surprising, yet colourful and peaceful, invasion certainly didn’t fail to arouse curiosity and attention. One by one the 200 statues (yes, they weren’t living animals) finished their city tour and were placed in shop windows. This was the opening of “Regeneration – Cracking Art at Siena” exhibition. 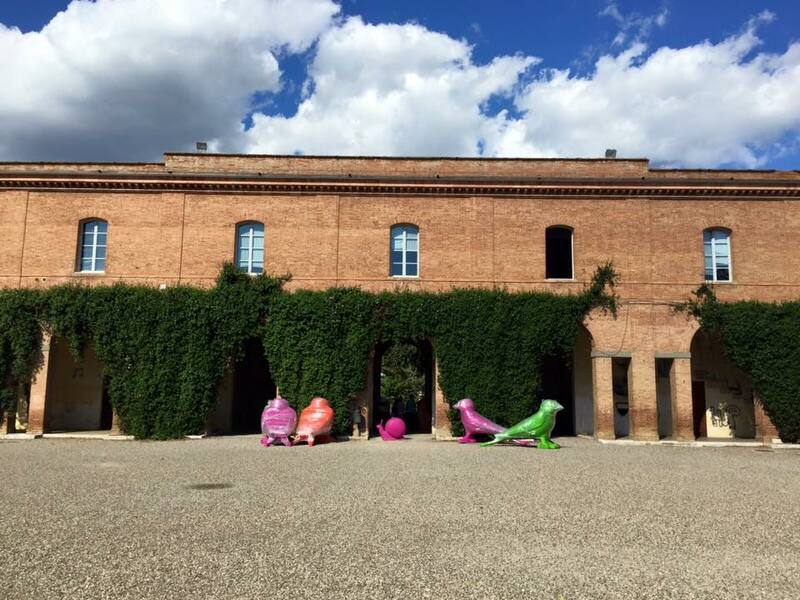 On until October 31st, the display consists of colourful animals, made of a non-toxic regenerated polyethylene, created by an international artistic movement which has been active for over twenty years. 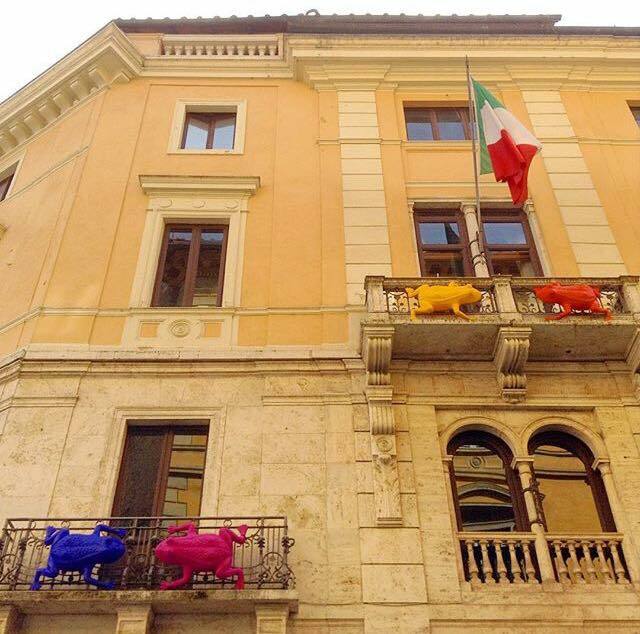 Animals of all kinds and sizes (and colour) are placed in historical and artistic spaces, in squares and gardens, on streets, inside windows. 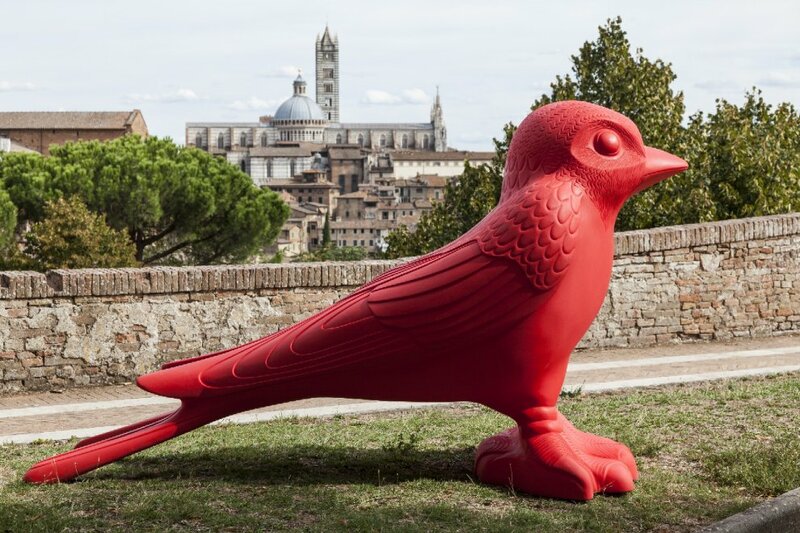 19 swallows can be found at the Medicean Fortress, at the San Prospero Fountain of Parco della Rimembranza and in front of the church of San Domenico. The slogan of the event is: Art that regenerates. Here the contrast between the medieval setting and the modernity of the statues’ matter is high-lightened. 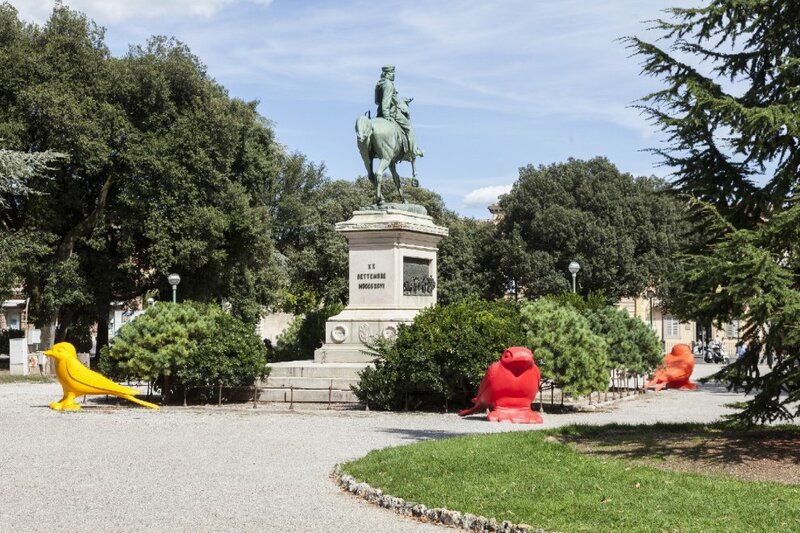 The aim is to bring bright colours and modern art to a city like Siena. However, the exhibition also wants visitors to reflect on the protection of the environment. An ancient hub in need of constant care and a sculpture made of recycled plastic. A colourful way to remind us that we are all responsible for our legacy and for what we will pass on to future generations. Questa voce è stata pubblicata in Art in Siena, Events in Siena, Events in Tuscany, Exhibitions in Siena, Siena, Tuscany e contrassegnata con art, contemporary art, Cracking Art, Events, modern art. Contrassegna il permalink.